Ah, the weekend! For us booknerds this means more time to read. 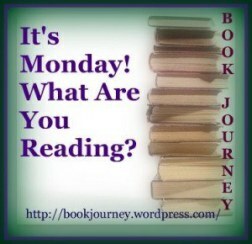 And Friday has become THE day to share what you’re reading. 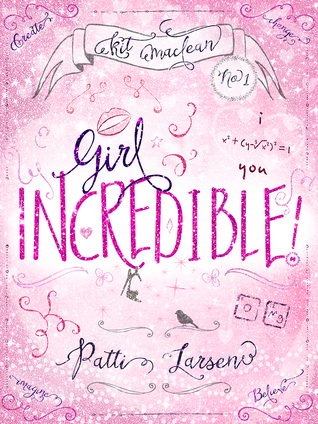 My Friday Reads for after work is Girl Incredible, the latest by the amazing Patti Larsen. This book looks like SO MUCH FUN. And I just love how happy the cover makes me. I think it’s just what I need after another rough week. 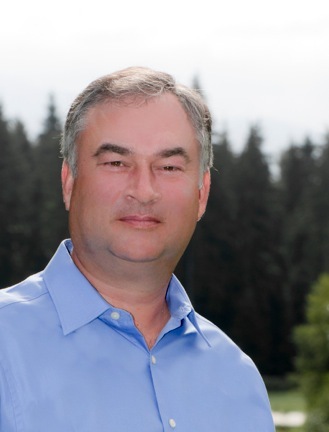 Marital infidelity, mental illness, and divorce. Some of the most taboo topics you could think of during the 50s and 60s, and Roger Gordon was forced to grow up among all of them. It’s the late 1940s. You’re a child living in working-class Sheffield. The war has ended. Times are hard. But you’re happy. Your family takes joy in listening to radio programs together, taking trips to the seashore, going to football games and the local cinema (“Picture House”), and, of course, eating fish and chips wrapped in newspapers. You love spending time with your grandparents, which is easy to do because they live in the same house as your parents, your younger brother, and yourself. Your family is a close-knit one. There’s much pleasure to be found in the simple things. As you grow older, though, your happy childhood turns into a tumultuous one. Your parents argue violently, and your mother often displays erratic behaviour. Even as a child, you sense that her punishments are mean-spirited and unfair. Your parents’ marriage eventually ends in a bitter divorce, and you and your brother are thrown in the middle of their battle, being forced to take sides. Your mother soon acquires a new live-in boyfriend, and friends, family, and neighbours talk about your mother’s romantic affairs behind your back. You are made to feel like a freeloader, and you’re forced to move out during the time that you are studying at university..
During the years that follow, you must come to terms with not only the mental illness afflicting both of your parents, but your own bouts of depression that you suffer yourself. 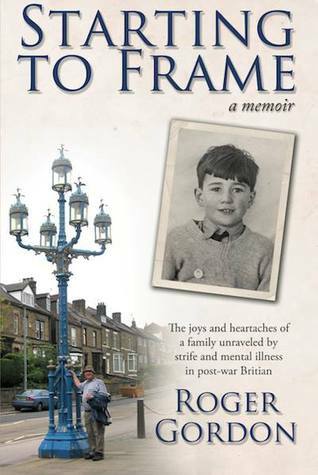 Starting to Frame is the story of Roger Gordon’s life. It is a story about the futility of family feuding, the innate human desire to be accepted and loved, and the need to give more attention to mental illness. Above all, Starting to Frame carries with it an important message about reconciliation and how it is never too late to forgive. I am very picky about my memoirs and quite often have found myself abandoning them partway through. This was so not the case with Starting Frame. In fact it was quite the opposite! Once I started reading I had a hard time putting it down. I was drawn in from the first page and really felt like I was living the memories. The descriptions of places and people were so vivid that it really put me in each and every moment. This wasn’t alway an easy book to read, and I can’t even begin to imagine how difficult parts of it must have been to write. When I say it wasn’t always easy to read, I’m referring to some of the material (not the writing!). 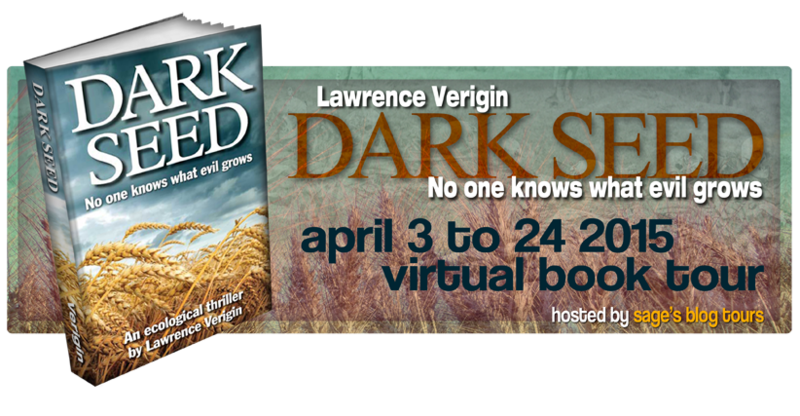 The book deals with mental illness, an important but often difficult subject matter. 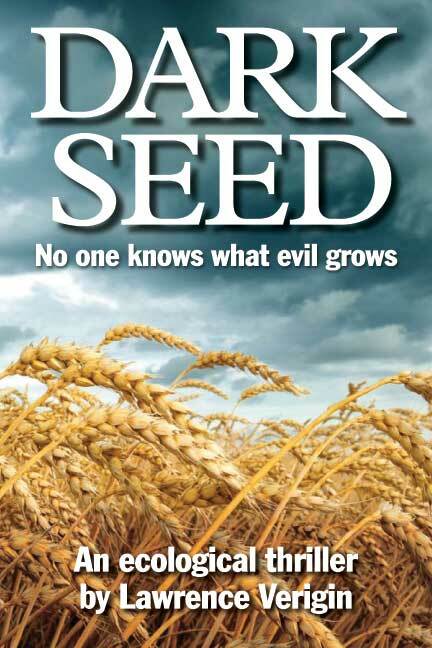 Gordon has an easy and engaging writing style that captivates the reader. I really enjoyed the balance between light-hearted and serious, something that is hard to accomplish. The Sheffield dialect was a hoot to read, but thank God there was a glossary at the back! If you are looking for an extremely well-written memoir, then you NEED to read Starting To Frame. It will definitely be added to my “I must read again” bookshelf.